The PDF software we use to generate documents, mPDF, is quite good with its HTML and CSS support, but it does have its limitations and quirks. Areas it falls down in are floats and positioning, cascading styles and widow and orphan support. Most HTML 4 and 5 tags are recognised and, to some extent, supported in mPDF – including nested tables. For the best results you should follow the XHTML specification and create valid HTML when building your PDF templates. A lot of display issues arise from a missing closing tag, or incorrectly nested HTML. Along with the standardised HTML tag support, there is also custom HTML tags which mPDF introduced to give you more control over your PDF. 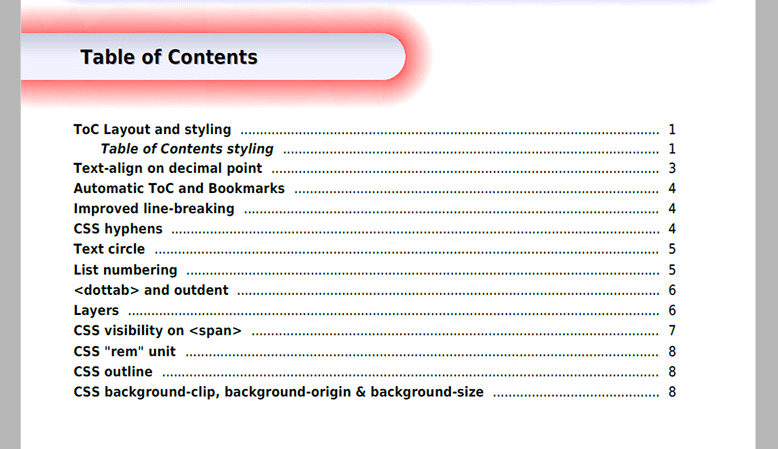 These include header and footers, page breaks, bookmarks, table of contents and annotations. One of the biggest quirks you’ll need to get use to is that all HTML elements are hard coded as either block or inline elements and they cannot be changed using the CSS display property. For full details on supported HTML tags and attributes we recommend you review the mPDF manual. CSS styles can be declared in an external stylesheet and included via <link /> or @media, included inline using <style></style> tags or using the style attribute directly on a HTML element: <div style="background: #EEE;">. Because HTML elements are hard coded to block or inline only certain CSS can be applied to particular HTML. If you’re creating a custom template we strongly recommend you review the mPDF manual on supported CSS for each HTML element. The following CSS selectors can be used in mPDF. Lower styles and attributes in the list will override higher styles and attributes. An area mPDF falls down in is its cascading CSS support. There’s limited support for block-level elements and no support for inline elements. That’s not to say you cannot apply styles to inline elements. You just cannot use them in a cascading fashion. To get around this issue we recommend applying ID and class attributes to all elements you want to style and target them directly. Only block-level elements with fixed-widths can be floated in mPDF. Keep in mind the standard box-model applies, so floating two elements left with a 50% width and any borders or padding won’t produce a two-column layout (the second box would be pushed down below the first). In this scenario, you would need to subtract the border and padding from the width to successfully float the blocks side by side. You can read more about floats in the mPDF documentation. Only top-level block elements can be fixed or absolute positioned. Fixed-position or floating elements nested inside other fixed-position or floating elements are not supported. Fixed elements will be restricted to inside the page margins, while absolute elements treats the entire page as the container. 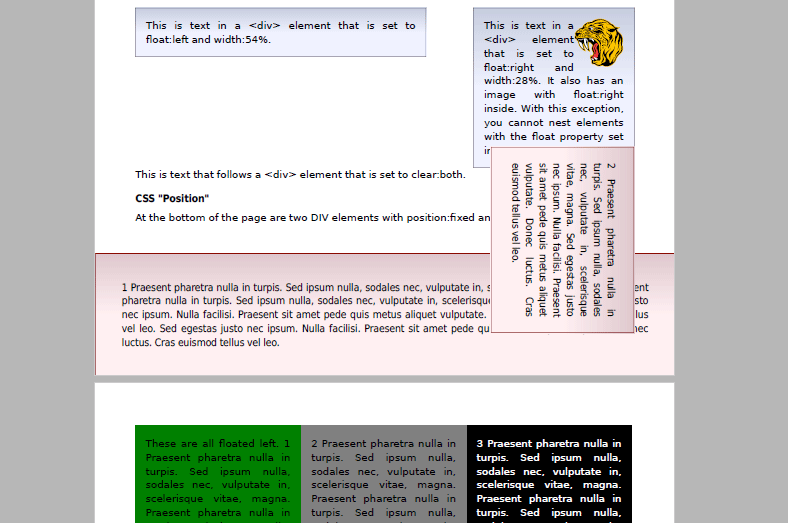 You can read more about fixed-positioning in the mPDF documentation.